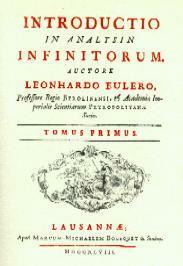 "No doubt the desire to obtain the values of these quantities to a great many figures is also partly due to the fact that most of them are interesting in themselves; for e, p, g, log 2, and many other numerical quantities occupy a curious, and some of them almost a mysterious, place in mathematics, so that there is a natural tendency to do all that can be done towards their precise determination"
This site is dedicated to mathematical, historical and algorithmic aspects of some classical mathematical constants (like p, e, Euler's constant g, z(3), ¼). A few results on prime numbers are added. Easy and fast programs are also included and can be downloaded.